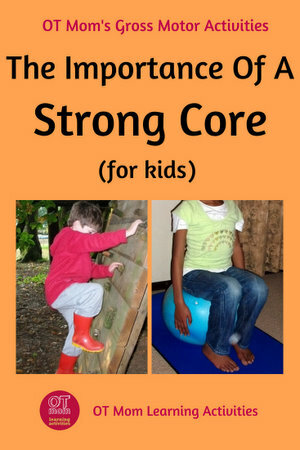 Did you know that core strength is important for your child's performance in the classroom? Without a stable core, your child may struggle to sit still at a desk and to carry out fine motor tasks. This in turn may affect concentration and the quality of written work. 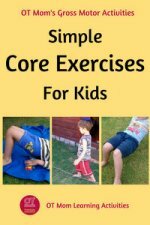 Does my child have weak core muscles? 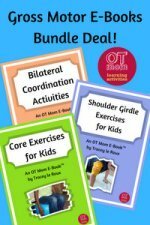 How I can I help to strengthen my child's core muscles? The core muscles are the many different muscles in the abdomen and back that work together to support your spine and hold you upright. The muscles around the shoulder girdle and the hips also form part of the core. These core muscles help to stabilise the body so that your arms can work effectively. Imagine trying to paint a wall while dangling from a rope or working on a wobbly stepladder. The paint will go everywhere and it will be really hard to get the paint to land on the right spot. Just as you need your stepladder to be your stable base in order to paint effectively, your upper body needs a stable core in order to carry out your daily tasks with minimum effort and no strain on your body. Good core strength and stability will help your child to maintain a good sitting posture at the desk, and will help develop a stable, supportive base for gross motor and fine motor movements. In the long run, developing your child's core muscles will help your child to avoid the lower back pain with which so many adults are plagued. If your child is already a keen athlete, strengthening the trunk muscles will enable your child to use the arms and legs more strongly, in a more coordinated way. Good core strength will also have a positive impact on your child’s balance and improve the ability to sit well at a desk instead of slouching all over it! Your child’s endurance of gross and fine motor tasks may also be better if the core muscles are strong. Instead of sitting upright, does your child tend to lie all over the desk, supporting the body weight on the arms and propping the head in a hand? Does your child hook his/her arms over the back of the chair, rock on the chair and generally drive you crazy with an inability to sit still in a chair? Does your child prefer to lie down to watch TV instead of sitting upright, or prefer to lie down during mat work at school? Does your child slouch against the nearest wall or table, instead of standing up straight? Does your child struggle to balance while lifting one leg off the ground, or lose his/her balance easily during gross motor activities and sports? 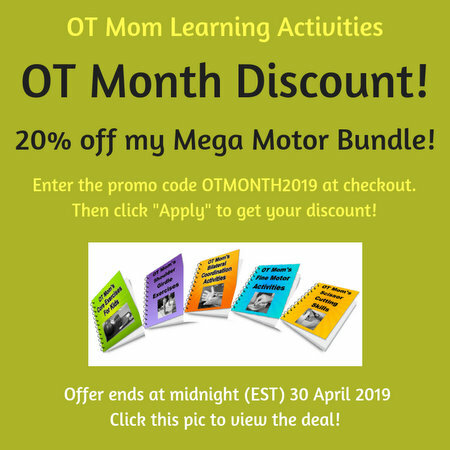 Does your child have poor gross motor skills and general clumsiness? Does your child avoid climbing on playground equipment and/or trees? An assessment by a pediatric physical therapist or occupational therapist can help to identify and treat the underlying cause of the poor core stability, which may be low muscle tone, developmental delay, sensory processing disorder or a genetic disorder among other things. This page is not intended to diagnose or treat any disorder! Most children nowadays need some encouragment to get away from their screens and get active. Going to the park, playing outdoors, and engaging in gross motor games and sports are great ways to improve your child's endurance, strength and core stability. 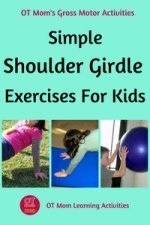 But sometimes our kids need some more specific, targeted activities to encourage optimum development of the core and shoulder girdle muscles. I have put together a few helpful tips and photographed activities on my website that you can easily do at home... check them out! Thank you for visiting my site! I hope you found this page helpful! Why not sign up for my free, occasional newsletter to stay in touch with new ideas and updated pages on my site?